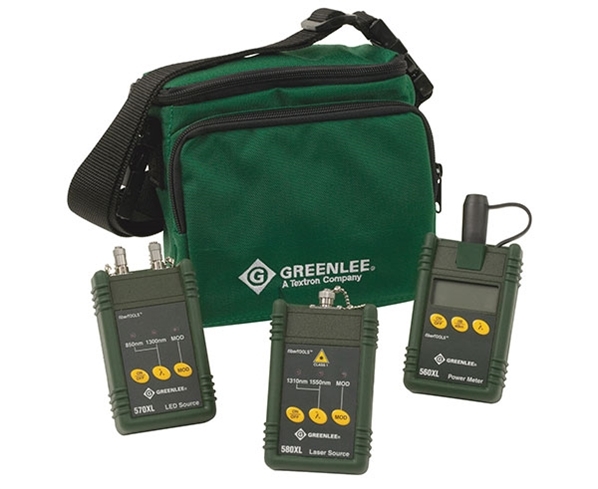 The 5890 is a Greenlee multimode and single mode insertion loss test set. It is designed for technicians performing installation and maintenance measurements on fiber optic cabling networks. The Fiber Optic Power Meter has multi-wavelength storage. It can store and recall reference power levels for quicker more accurate measurements making it the perfect tool for installing and testing fiber optic cabling. This fiber optic power meter measures optical power at 850nm, 1300nm, 1310nm, and 1550nm.